If in Malaysia we have Low Yat as the virtual heaven for the gamers and geeks, while in Japan they have this online site called Rakuten! Established since 1997, this online portal is offering hardware and software, electronics items, games, DVDs, music CDs and now even selling apparels, toys and many more. Known as the largest online site in Japan, Rakuten is now also penetrating global market by offering customers more than 95 million products from local and international merchants. This website also has registered customers all around the world and offering international shipping too! 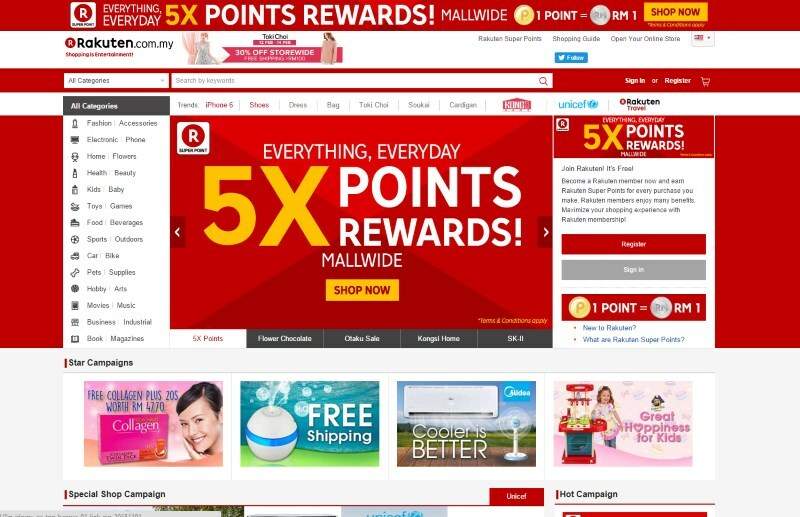 Well good news to all of us, Rakuten is now available in Malaysia too with amazing daily offers! This is our chance to get the best high tech products from Japan and also from our own local merchants. Enjoy your items with speedy delivery and off course like other online portals, Rakuten offers various payment methods for your convenience such as via credit card, debit card, online banking and also cash on delivery in certain areas. So if you have any items in your mind to grab from Rakuten, why don’t you browse Shopback MY first and do your online shopping from there. Since Rakuten is one of the affiliated merchants that registered under Shopback, you are entitled to get additional cashback and other promos from Shopback. How it works? As simple as you buy your items on Rakuten website, just log in to Shopback Malaysia and find Rakuten icon on the first page. 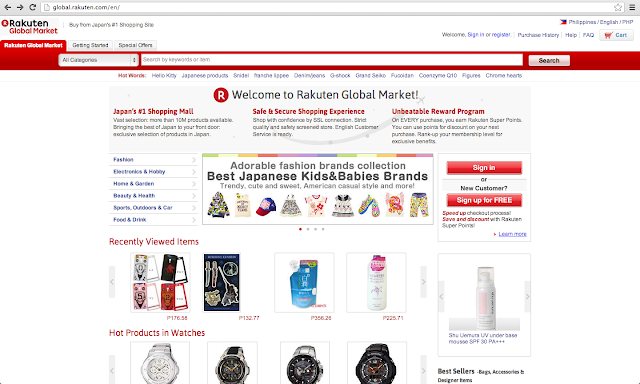 Click on the icon and you’ll be redirected to Rakuten website. After that, you may do you online transaction as usual and cashback will be credited into your Shopback account within 1-3 working days! Wait no more and click here to see Rakuten latest promo!